2.Multipurpose: whatever it is travel breaks or office naps, it can make you enjoy comfortable sleeping anytime, anywhere. 3.Easy to carry: It has a compact volume,you can carry it easily when taking plane, train, high-speed rail, long-distance bus, ship. 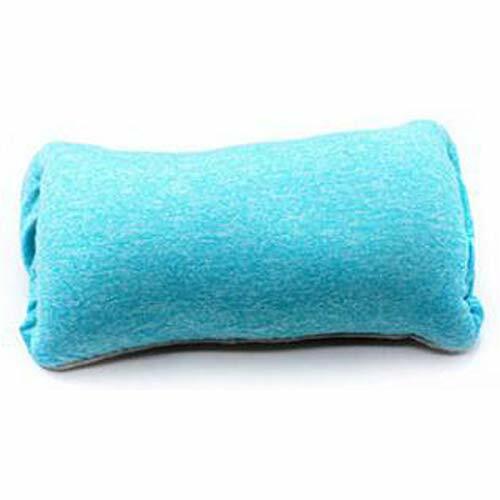 4.Cotton pillow case is very skin-friendly, soft and comfortable cotton pillowcase, moisture-absorbing, non-allergic, non-skin-resistant, durable. 5.Filler adopts 0.5-0.8MM nanoparticles,its high-density foaming is very antibacterial and environmental protection. If you have any questions about this product by ISHOWStore, contact us by completing and submitting the form below. If you are looking for a specif part number, please include it with your message.